Successful online marketplaces have a large volume of sellers and products - Amazon boasts over 500 million products sold by third-parties and has a base of around 5 million third-party sellers globally, which make up just over half of all units sold on Amazon. While not all marketplaces may reach Amazon’s size in numbers, managing product data quality en masse still remains a challenge. 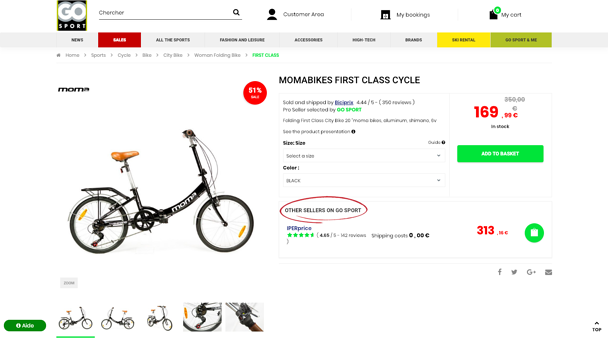 Another hallmark of a successful online marketplace is having different sellers selling the same products; creating healthy competition amongst sellers. However, this competition only makes the product data management issue bigger. It’s important to not just manage individual sellers product data quality but to also find a way to manage multiple sellers’ product data quality when it’s different for the same products. If managing product data for marketplaces sounds tricky, you’re absolutely right. These are brand new challenges businesses simply haven’t had to face in the past. As more and more companies move towards a marketplace model, it’s increasingly important to develop tools and competencies to govern third-party seller product data. Finding the right way to ensure quality product data yields increased buyer confidence, higher conversion rates, and helps identify & remove sellers with products that don’t meet your brand guidelines. By 2020, more than 50% of online retailers will either list their products on marketplaces or sell-third party products on their own marketplace. Many companies try and fail to resolve the issue of marketplace product data on their own. Businesses new to marketplace should look to avoid two of the most common pitfalls, when it comes to dealing with product data quality at scale. Pitfall #1: Your IT infrastructure prevents third-parties that come with heterogeneous data formats from joining the ecosystem. When you invite guests over, you typically tidy up a few things around the house before inviting them in. 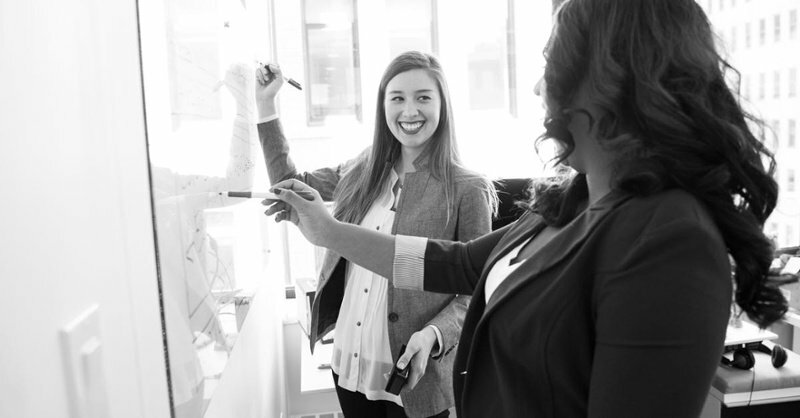 The same goes for inviting external third-party sellers to work with your systems, however cleaning up your IT infrastructure and processes isn’t as quick of a fix as vacuuming. From experience, ERP and PIM systems can have complex rules and gateways that simply don’t make sense when you are trying to scale assortment through marketplace. As a retailer selling predominantly fashion, color and size are important product attributes. 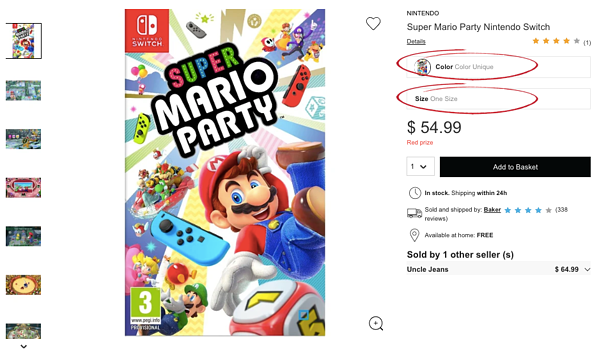 Try asking marketplace sellers to upload their catalog of video games, and forcing them to enter color and size attributes on product categories where it doesn’t make any sense. Businesses who fall into this case are not able to capture the marketplace opportunity ahead of them because they simply can’t scale in quantity or quality, and also risk hurting their brand. Pitfall #2: Due to technical or operational challenges, you don’t foster healthy competition amongst marketplace sellers on the same product details page. 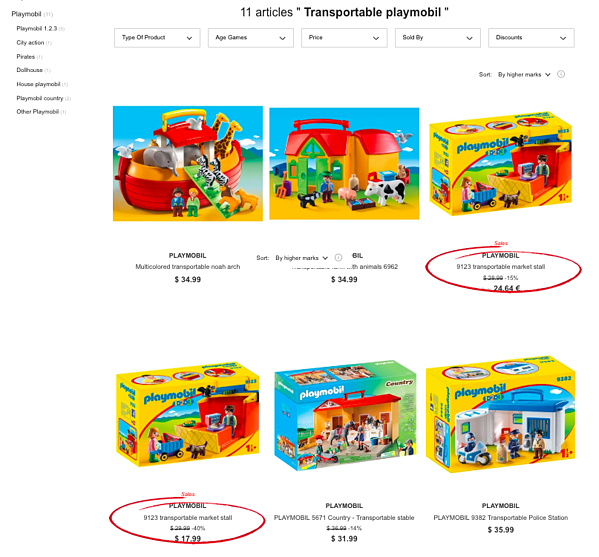 The same product is displayed twice, rather than being combined in the same product page. 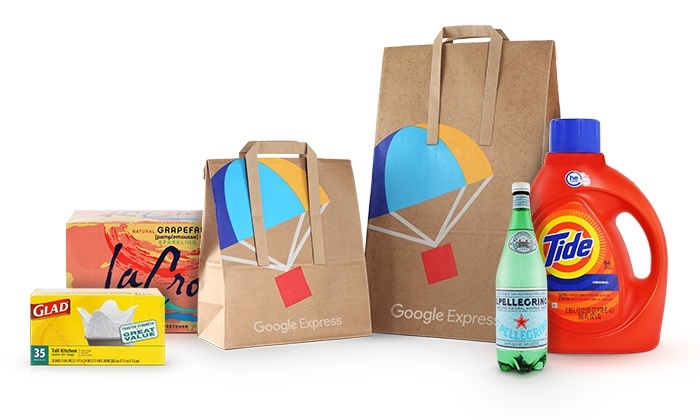 If you are able to match several of the same products together, question becomes, what seller data do you use? Your standard systems likely can’t tackle this kind of data aggregation automatically, which is needed to produce a quality product page in the end. When your processes and catalog integration rules don’t make sense for third-party sellers, you miss opportunities to onboard those sellers and successfully expand your assortment. This includes information about their products and services. If you make these mistakes, you are not alone—but you can get ahead of them with the right catalog management solution. How Does Marketplace Catalog Management Work? Product data wasn’t designed specifically for marketplaces, nor were traditional product information management systems. Therefore, marketplace catalog management tools need to allow sellers to come “as they are,” with their different product data formats and integration methods, and facilitate an easy onboarding path to the marketplace. Today, leading brands use catalog management tools to improve product data quality and consistency on their marketplaces, increasing relevance and buyer confidence. Their marketplace teams enjoy advanced management and control, allowing them to consolidate content from multiple sellers. They have even created collaboration spaces for sellers to enrich product data. Marketplace catalog management tools enable retailers like FNAC to automate best practices like product data aggregation to collect the best images and content from different sellers, as well as product matching to link all sellers to a unique product page. 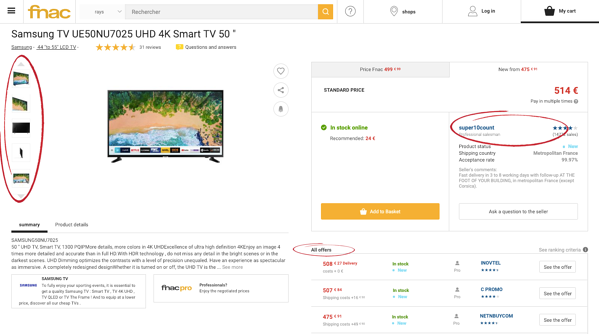 Using Mirakl Catalog Manager, marketplaces like FNAC are able to more readily foster competition amongst sellers on the same product page. Sellers compete on price, availability and quality of service to win the most visible piece of real-estate on the page, giving the customer the power to compare and choose the best offer for them. Marketplace solution providers of catalog management tools help operators manage the complexities associated with scaling third-party product information. It’s those complexities that have made API-oriented architecture, automation, personalization engines, and product configurators key technologies for creating compelling customer eCommerce experiences. For marketplace operators, these technologies are simplifying back-office operations. Automated solutions help marketplace operators leverage product information and data to their full extent. Analytics tools, product recommendations, personalized keyword searches, tag management, and content optimization and categorization all contribute to a more manageable, more dynamic content environment. As you improve that environment, you also improve your marketplace’s appeal and competitive value for sellers. Gartner reports that by 2022, 10% of eCommerce will be conducted as platform businesses; 60% of eCommerce platform businesses will employ an open ecosystem to scale their growth. Automation and smart product search capabilities will make customer experiences more intuitive and competitive. It’s tools like Mirakl Catalog Manager (MCM) that give retailers and marketplace operators the advantage of scalability through streamlining product data quality management. In a highly competitive eCommerce world, having the highest quality product information can set your online marketplace ahead of the rest.